Please tell me that was your car in a staged photo? Please tell me people aren't that stupid. Please restore my faith in mankind. Please confirm that we as a species are growing in intelligence, not regressing. Oh, MOS, sure. Why don't we say it was totally staged. Just like the moon landing. Faith restored! Boom. 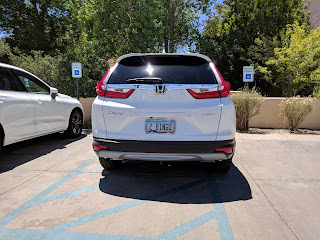 All great points, I engaged a lady the other day parking her grocery cart directly in front of me in a disability spot. I was about to exit my car in a disability parking space. I informed her she was selfish, lazy, and a terrible role model. She said nothing, put her nose in he air while I pushed the cart back to the proper storage area. I utilize my disability placard sparingly, thankful to be still walking since my worst attack in 2013. I park far away from the front door to encourage me to walk further, give me more room to open my doors when not using the disability parking, and to prevent people from dinging my doors. 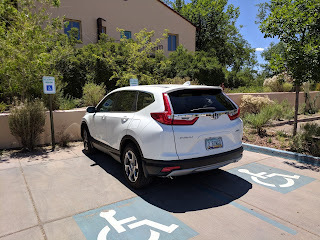 Thank God for disability placards when needed ( I just discovered in Texas you don't need a Dr. letter when placard expires, duh, just ask the DMV, and DMV re-issues a new placard, genius). Hey Dave, I am a native NM, a graduate of UNM, a pharmacist living in TX with MS. I love to ski too, we probably skied at Taos at the same time. Do you ski at Taos these days, I see disabled skiers in ski chairs the last few years? I still ski, people ask how do you ski with your MS issues. My answer: what sport has a chair take you to the start line, then gravity takes me to the finish Line, then repeat. Ski til I Die is what I say. Right on Dave...I see this everyday...the worst are those that think they can park in a handicap spot just to pick someone up...ugh..
KM, the "I'm just picking someone up" thing drives me bonkers. Someone taking a handicap spot is bad but I dislike those who take a handicap restroom when they don't need it! I carry in my glove box "tickets" from the MS Society that says, "Would you rather trade places or spaces?" among some other things. When I see an offender, I place a "ticket" on their windshield. 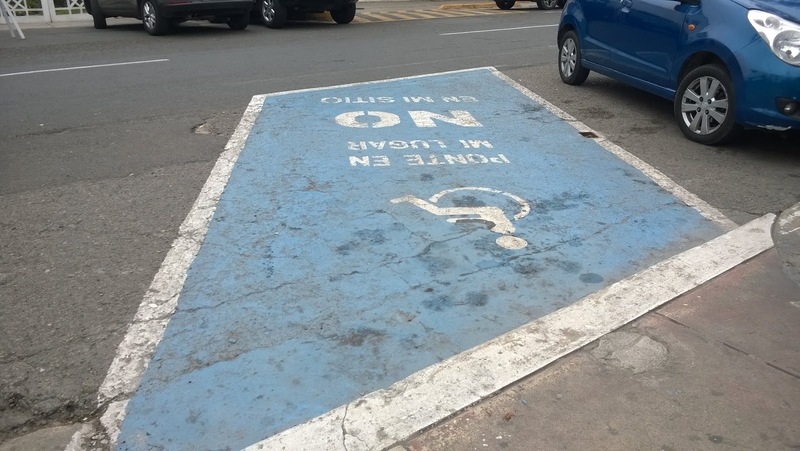 Hopefully, it makes them think twice about taking a handicapped space. Clever. If there are no handicap placards or plates, might get their attention. Or not. But it's better than a $500 fine! 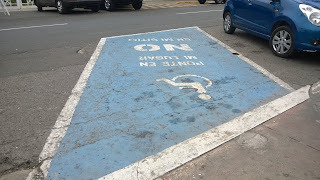 Since handicap toilets replace a regular toilet for able bodied folk does it mean you have to have a wheelchair to use it? I’m confused, as usual. 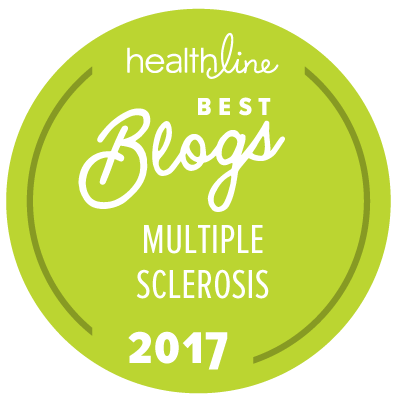 Does urinary urgency due to MS qualify? In any event I just figure handicap toilets are okay to use if you need since they replace a regular toilet. Any disability qualifies. One fit-looking young man waited for my handicapped bathroom to change his wound dressing. You can never tell by looking. Use away! Thanks anon for posting the offender Hcap trade spaces or places 'tickets'. Gonna fill my glove box with them too.